CHARLESTON, W.Va. — The West Virginia Supreme Court of Appeals is preparing for impeachment by appointing a circuit judge to act as chief justice, and the newest justice has acquired legal counsel. 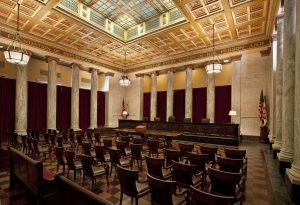 In a press release Thursday evening, Chief Justice Margaret Workman announced the appointment of Sixth Judicial Circuit Judge Paul Farrell as an acting justice to replace Justice Allen Loughry. Farrell, who serves as a judge in Cabell County, will also serve as acting chief justice once the state Senate receives one or all 14 articles of impeachment being considered by the House of Delegates on Monday.